As a technology user, you know you will occasionally have problems. Maybe it's a nagging glitch that just won't go away, or you've just finished installing some new app but can't get it to run, or some other gobbledegook! At nescient it services you can get sensible IT help and plain English technical support. Usually you will know exactly what problem you are experiencing, but won't necessarily know what is causing the trouble. It is our job to be the "technical person" who can understand the mysteries of the misbehaving gadget. ...we will start by listening to you and trying to fully understand the problems that you have been having with your equipment. If you and our technician both decide that a home visit is necessary then we will call at a time that is suitable for you (subject to availability). ...we will begin by testing all the relevant components and key settings for potential snags. 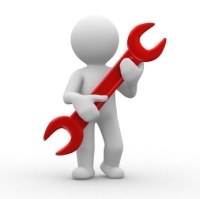 If a problem is identified and we have the fix then we will start the "repair" straight away. Most computer problems will be fixable within the first two hours that we visit you. 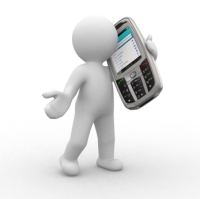 If you would like any more information on the services that we can supply then please complete our contact form. Of course there will always be the very difficult problem that needs extra work to be resolved, but no work will be undertaken without your full agreement. If necessary we can take your PC away to repair it for you. Work completed at your home is charged at a fixed rate for the first two hours work of each visit (when most tasks are completed). From there on an hourly rate applies. Rates are directly related to your location. Please contact us to confirm our rates for visiting you at home.